I got my Epson WF-3620 All-In-One-Printer a few days ago through the mail. 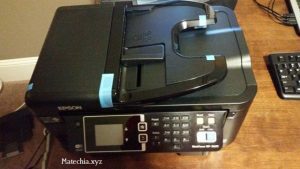 This post will discuss many of the features of the Epson WF-3620 and why it is a fantastic printer, scanner, and copier. The printer and ink right out of the box. Price. It was cheaper than the comparable models, and I feel that I got a great deal. Quality. 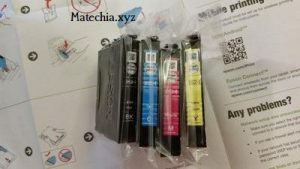 Overall, I have no complaints, and think the quality of almost everything in this printer is of very good quality. Ratings online. There were some bad reviews online, which made me hesitant, but most of reviews that I read were positive. Linux Support. This is one of the only companies I have seen that offers native Linux support for their printers and actually wrote open-source drivers. Ability to do 2-sided printing, scanning, and copying. I have had many printers in my lifetime, but have never had a printer capable of 2-sided printing, scanning, and copying. I find this feature so convenient, and most importantly, time saving. I am able to scan in Linux with this in XSane, a very common Linux scanning software, but am only able to do 1-sided scanning. Eventually, I was able to get Epson’s scanning software, called iscan, working, and it does do 2-sided scanning. Though personally, it is much faster to just scan to a USB drive or SD card, with better quality and more options for scanning, so I think I will just scan to a USB drive. Even though that wastes a little bit of time because I have to remove the USB from the printer and then plug it into my computer and copy the files off, the time wasted is negligible in my opinion. I have dozens, if not hundreds of papers, many of which are 2-sided, which I plan to scan soon so that I can throw out the hard copies. So, if for no other reason, this all-in-one printer helps me to get rid of lots of paper, and to get a lot more organized. I honestly could only use the double-sided scanning feature, and it would still be worth the money to me. The only issues that I have had were with a paper jamming twice while I was doing double-sided scanning. Though, this was probably my own fault. One of the times that it happened, I was using XSane, a Linux scanning software, but I accidentally hit a random option which I don’t remember, while it was scanning, which probably messed things up. And the second time, I inserted a paper that had some wrinkles in it, so I should have tried to unwrinkle it before. I researched some Canon printers online, but read about the lack of Linux support. Some, but not all HP computers come with Linux support, but it seems to be much less than that of what Epson offers. HP offers an hplip library, but is not as good as what Epson offers, in my opinion. If you go to the official HP website, it is super difficult to find Linux drivers on their website. HP seems to only support Windows and Mac officially. Even though hplip is suppored by HP, I don’t think it is anywhere near as good as drivers that they make to work with their printers in Windows and Mac. Whereas Epson actually wrote software that is open source, specifically for this printer, which can be downloaded on their site. I am a huge fan of free and open source software (FOSS), so this is a massive plus for me. I don’t want to live in world where things are only designed to work on Windows and Mac, so this is an excellent feature for me. You can search and download all of the Epson Linux drivers here on Epson’s official website. I already have a Canon printer in my house, and can print to it find wirelessly from my Linux computer, but scanning is annoying. I don’t believe that I could have done 2-sided (a.k.a. duplex) scanning or printing on a Canon printer from a Linux computer. I could do 1-sided printing, scanning, and copying, but that wastes too much time if I have 2-sided documents. I give this printer a 5/5 rating. I previously have only own HP and Canon printers, and have never previously owned an Epson printer. So, I was a little hesitant to buy an Epson. But, overall, I am very happy with my purchase. Do you own an Epson WF-3620 or are thinking about buying one? Let’s discuss it in the comments below.